This is very interesting. The British government is giving out grant for a company willing to venture into something new, creative and at the same time create job opportunities. Already for sometime now, we know of at least two areas in Malaysia where wind is blowing at speed viable for tapping of electricity 'from thin air'. These are Kudat/Banggi in the northern tip of Sabah and Pulau Perhentian in Terengganu. Pulau Perhentian (Besar & Kecil) are two resort islands but building some industrial scale wind turbines, if carefully crafted, should not ruin the beautiful scenery and serenity of these places. LONDON: British engineer Offshore Group Newcastle (OGN) announced on Friday that it would create up to 1,000 jobs after receiving a government grant to help build offshore wind farms. OGN said in a statement that it had been handed a grant worth $1.02 million (£640,000) to help stimulate employment prospects in Tyneside, northeast England, where the group is based. The firm said it will build a prototype steel-jacketed foundation at its site in Wallsend, Tyne and Wear, starting later this year. The foundation structures will be designed for large wind turbine generators in waters over 30 metres (100ft) deep. 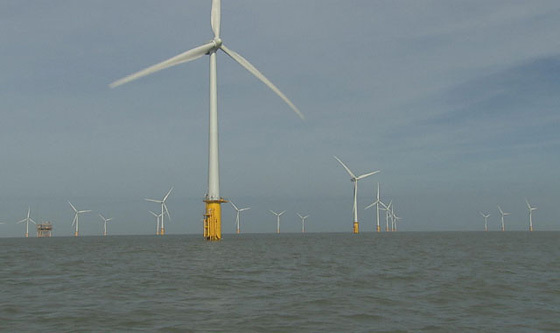 "OGN has received a vote of confidence from the Department of Energy and Climate Change for its move into offshore wind technology," it said in the statement. "And the northeast economy shares in the benefit with the creation of up to 1,000 long term jobs." If wind farm is too costly to erect in the mountainous terrains of Malaysia, we should consider building them offshore. Never shut down an idea until a detailed study is carried out. Allocate some grant and ask someone willing to do the study to be given the money. Japan is doing it now in the waters near Fukushima following of the recent catastrophic tsunami and nuclear reactors failures. Also, in the northern island of Hokkaido, a large scale solar PV farm is already in the pipeline. I vaguely remember few years back MOSTI had granted few millions Ringgit to a local company to study the potential of wind power in Sabah. But didn't hear anything yet. an interesting concept... but. I think they are unsightly. Cool idea... if it's confirmed our government is willing to build windmills here, I agree with you that we should build them offshore.